No matter where the ‘events of today’ are leading – YOU ARE IN CONTROL (and thus, WE are in control). It’s time for us as individuals, and as a globalized society, to change how we internalize these notions — and if nothing else, 2012 should mark the time we become FEARLESS! Whether there is something more profound serving as a prelude to the end or as an impetus to change – it is clear something is indeed happening in the world today and in the hearts of many people. While society appears to be at its worst in many ways – in my lifetime, I have never seen more individuals at their best. This is by no coincidence, it’s the ‘providence of polarity’. The greatest inventions, answers, and cures stem from their ability to counter the greatest problems, questions, and diseases. It is the gift and the curse bestowed upon us in an existence that boils down to the Boolean code of “yes/no”, “true/false”, “1/0”. What I believe is REALLY happening in the world is that – to some degree – the “gray area” is being removed. The time of “maybe” being used to answer a “yes/no” question is going away — the time of “half-truths” is dissipating. The providence of polarity is coming to light at the same time as our understanding of macro- and microcosms is. In science they are inching closer to a “unified theory of physics”. Many are starting to understand the corruption in many religious institutions – WHILE ALSO more fully appreciating how those institutions have come to be without simply “pendulum swinging” and rejecting all aspects of any one of those institutions. What does this ‘providence’ have to do with our world, and ourselves, today? We Are Responding to the Chaos of the Society by creating Order in Ourselves! Outbreaks of war are leading to outcries of peace. Pending economic collapse is driving folks to “reinvest their happiness” elsewhere. Lies exposed in various governments and institutions are triggering folks to search for truth rather than simply being told it. Global chaos is serving as a springboard for individual order. It seems fewer and fewer ‘overarching’ social organizations “have the answer” (or at least all parts of the answer). It leads many of us to find peace within – letting go of these external factors to “understand the bigger picture” by analyzing our much smaller, and personalized, puzzle pieces. More and more people are starting to “work on themselves” rather than “rely on society to do it for them”. 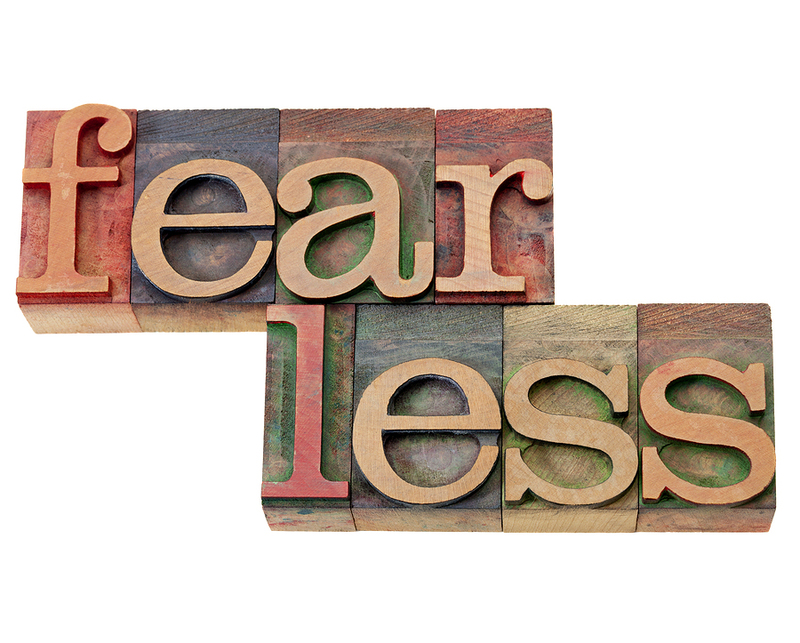 So what is Fearlessness and why is it important in 2012? To understand fearlessness – we need to redefine fear. Throughout history, and through many fantastic quotes and sayings throughout time, “fear” is clearly something important for us to grasp. We think we understand it. We think we ‘get it’. But do we? In order to better understand fear, and fearlessness — we need to spend LESS TIME DEFINING IT, and spend more time understanding HOW IT DEFINES US. Fear is a tool which is used by external forces to control individuals. Plain and simple. It is the foundation on which many governments and even many religious institutions, are built upon. Fearlessness is the counter-state to fear —- and the tool used to get there is Courage. As we continue to hear more and more hypothesis regarding what is happening in 2012, use those discussions to remind yourself that the COURAGE IN YOU is the ultimate cure for our social anxiety caused by fear. It is your individual COURAGE which will free you – and it is THAT individual freedom which will inspire others to embrace the same approach. “be not afraid”, “we have nothing to fear but fear itself”, etc., etc., etc. It’s been said time and time again – it’s time we take the words to heart. Do not let anything scare you – do not let fear motivate you. Be peaceful, trust, and be grateful to be alive. Things will change instantaneously once a critical mass of the “collective us” truly embraces this type of grace, this type of courage. Fear tactics will simply no longer work. 2012 – Is it the End of the World? …maybe as we “know it”. But in terms of a literal end – unlikely. To answer more definitively, I will say “No”. I say “No”, however, not because I doubt the Mayan Calendar (most people are just taking it out of context). Not because I doubt solar flares peaking and celestial alignments potentially changing gravitational pulls and poles (there is a lot of truth to all that jazz after-all). Not because I disagree with religious doctrine and prophecy (hey, there are a ton of analogies that are making sense and ‘appear’ to be coming through to fruition). Of others that say “No”, many do so because they say “the world will end when we least expect it”. So I realize and appreciate that I am on an even smaller island here, when I say “No” because I believe the world is more likely to end when we ALL expect it. And at this point, I do not have that expectation. I do expect change, however. After-all, the more I change myself, the more I see it in others, and the more I see it in others, the more I change myself. I have no reason to not expect that trend to continue. In the meantime, exhibit courage and become fearless – no matter what happens, worst case scenario, it can only help you – and anything that helps you, helps us all! I couldn’t agree more, the problem here is we seek “Truth” to the questions why are we here, and what is next. The problem in that truth seeking is where the devil lies, or the individuals who want to instill that fear or lies into your brain. While I absolutely agree with the Mayans and every other guru out there something is coming, but I believe there is no absolute so what is to come is based on the amount of bull that people decide to soak up. Everyone looks for answers in Television, Self Help Books, and the internet, and the believe everything they hear instead of making up their own decisions from a various inputs. It’s one of the main reasons we have a democracy that is based on a 2 party system instead of actual democracy. Change is coming and people need to WAKE UP!!! stop fearing the end of the world and embracing the actual facts. Humans are resilient we will always find a way to move forward, however sometimes the forward progression is not always the right way. We as humans and a society need to stop following packs, and start thinking for ourselves, stop listening to everything you read on the internet, or everything a so called expert says.